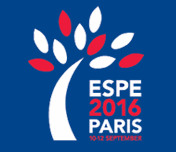 We will be present at the ESPE conference, September 10-12, in Paris, France. We look forward to presenting our high-quality electronic growth chart solutions to children’s growth and development specialists. The theme of this year will be “Horizons in Paediatric Endocrinology” with a focus on the new challenges for Paediatric Endrocrinology. Come and visit us on booth #3, 2nd floor. “Our experts will be delighted to present you GrowthXP outstanding benefits to accompany your teams in facing those challenges”, declares Laurent Rossaert, Sales and Marketing Director.